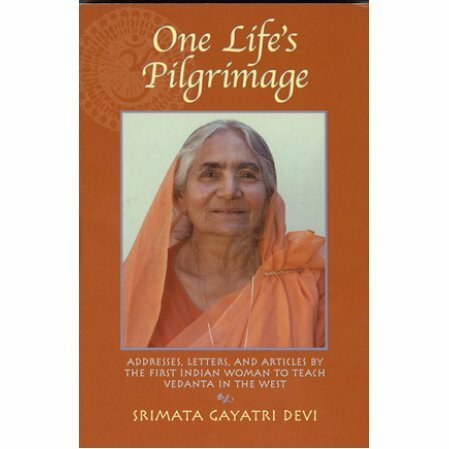 Addresses, letters and articles by the first woman to teach Vedanta in the West. A collection of addresses, letters and articles by the first woman to teach Vedanta in the West. Since 1940, the author was the head of the Vedanta Centre in Cohasset, MA and Ananda Ashrama in La Crescent, CA. Both are among the oldest religious communities in the West. The book is partially biographical and we find in the letters Gayatri Devi dealing with major problems, including their centers facing disolution from the Ramakrishna Order. They preferred to have a woman as the head of the organization, contrary to the wishes of the Order. Her talks cover practical aspects of Vedanta, while the articles include the lore, culture, sacred stories and saints who have inspired her.